Are less children and adults starting to learn the piano these days? It’s a question that I have been asked on several occasions and up till now I’ve always had to say that I don’t honestly know. 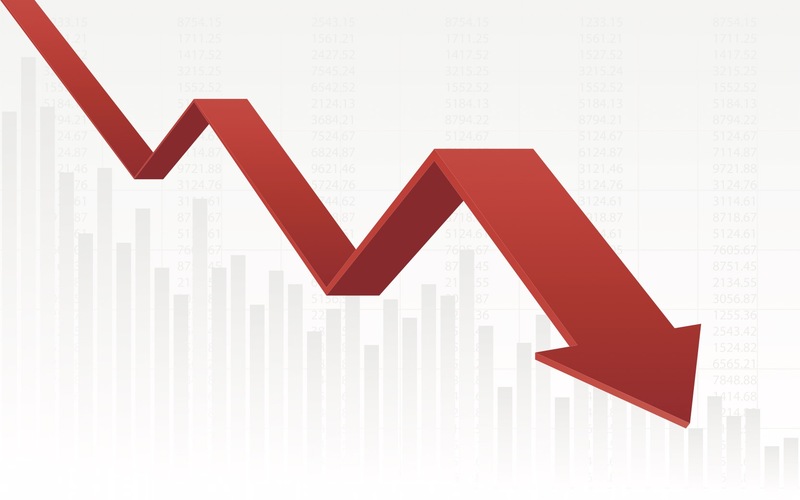 The recent decline in A level and GCSE Music in the UK is well documented with exam statistics to back it up (CLICK HERE). However, the numbers of individuals learning instruments is harder to track, especially the piano given that it is mostly taught by individuals in private studios . One hundred and eight-four teachers completed it and many thanks to you if you were one of them. 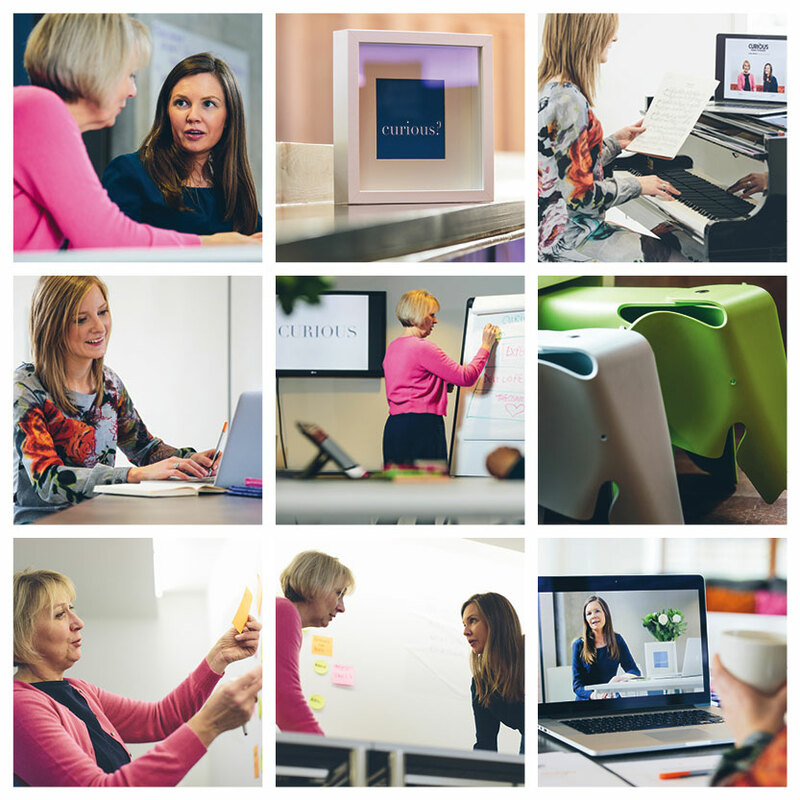 In the first of this 2 part blog post the results of the survey are presented. Next week in Part 2 there will be a comparison with the data I gathered from The Piano Survey 2010. Two thirds [65%] of the 184 teachers who responded to the survey were UK based. This is unsurprising given that the UK is the location of The Curious Piano Teachers. 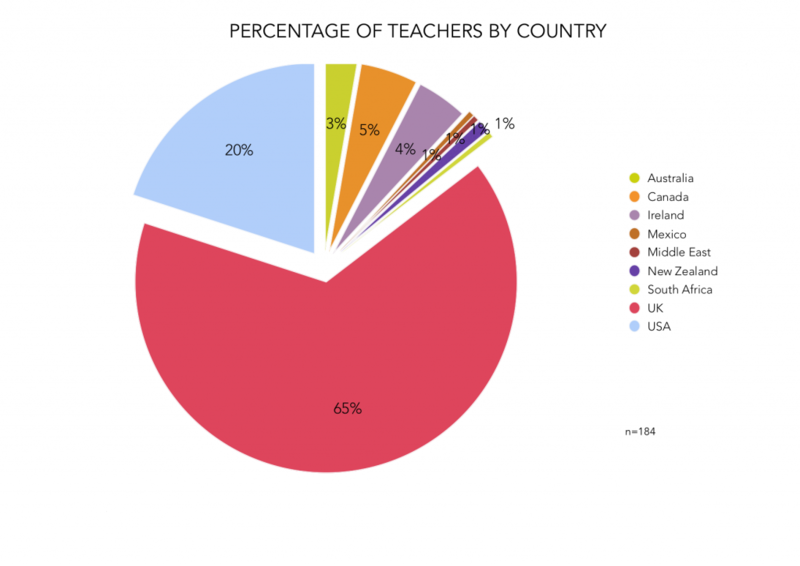 The majority of the remaining teachers were from the US [20%] whilst Australia, Canada, New Zealand, Ireland, Middle East, Mexico and South Africa were also represented [Figure 1]. Teachers were asked to give the number of beginner piano pupils who started lessons with them at the beginning of the 2018 academic year. It was made clear that for those based in the Northern Hemisphere this would be August/September 2018 whilst Southern Hemisphere was in January/February 2018. The aim was to establish the most popular age range for starting to learn the piano so a range of ages was given between 3 years old – adult. From the ages of 3 and 8 teachers were able to give numbers for each individual age. After that ages were grouped into bands, generally following the UK key stages system used in schools. In total there were 1211 beginner pianists left by 184 piano teachers. This gives an average of 6.5 beginners across the ages per teacher. The primary years proved the most popular for starting lessons [Figure 2]. Leading the way were 6 years old  very closely followed by 8 years old  and 7 years old . Together this represents 48% of the total number of beginners. Although aged 9-10 is a grouped age it has a healthy total of 149 beginners [12%]. One hundred four children started at the age of 5 whilst there were 50 four year olds and 10 3 year olds giving a cumulative total of 14%. 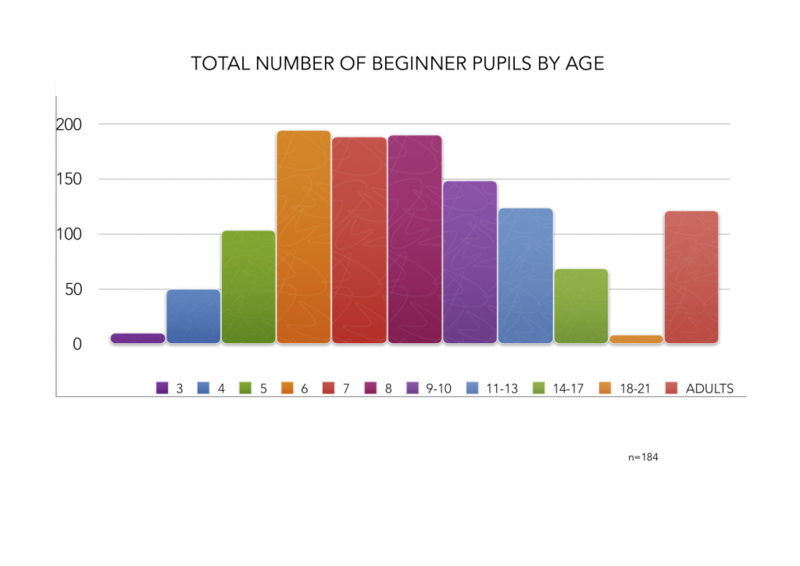 It is worth noting that the majority of beginners are in the primary school age range. Sixty-nine percent of all beginners in the survey were aged between 5-10 years. There is a gradual decline in numbers as pupils get to secondary school age. The grouped age of 11-13 years had 124 beginners [10%] but by the time the ages of 14-17 are reached this had dropped to 69 [6%]. Only 1% of beginners were in the 18-21 age bracket. The final age range is the Adult beginner which had 122 responses, representing 10% of the total. Whilst the number of respondents to the Teaching Beginner Pianists survey wasn’t huge it is nevertheless a robust number in research terms. On its own it provides an interesting snapshot of the situation although no real conclusions can be drawn from it. Back in 2010 I carried out a larger survey into the piano teaching profession. One of the questions in the Piano Survey 2010 also focussed on the number of pupils taught by each respondent although in a broader and more generalised way. The two surveys cannot be compared like for like, however, the 2010 survey does provide a useful mirror for the numbers above. In the next blog post I will be looking at the two surveys side by side and trying to establish whether or not less children and adults are starting to learn the piano. CLICK HERE to make sure that you are on our mailing list to get the next instalment. Sally Cathcart, 2013, The UK Piano Teachers in the 21st Century. PhD thesis. Posted in Beginners | research. One problem with piano lessons for children these days are that new houses barely have room for people, never mind a piano. There is often no room where any instrumental practice can be done without getting in the way of other family members. Another thing is that many children are in before and after school care so can’t be taken to after school lessons and there is not really much time for practice during the week.